So the president’s decisions are his alone to make. That’s very different than the idea that the president must take responsibility for decisions he didn’t even make in the first place. And as Clinton acknowledged, micromanaging the security plans for the nation’s 275 worldwide diplomatic posts isn’t part of the president’s workload. This doesn’t mean that it would be politically wise for Obama to tell 70 million debate viewers tonight, “Hey, not my fault. 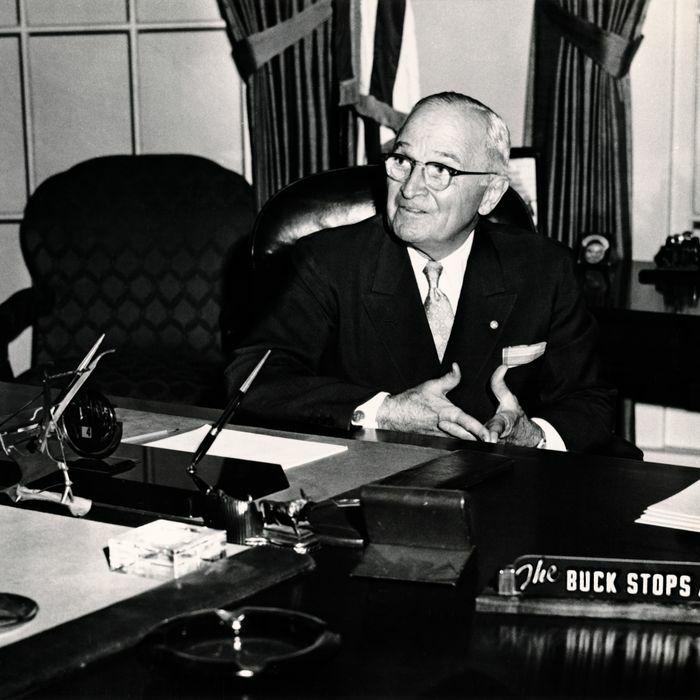 Take it up with Hillz.” Regardless of how Truman viewed buck passing, we like to believe that our presidents are in control of pretty much everything that happens on their watch, and when something goes wrong, blaming others just isn’t a very leaderly look. But it does mean that, if Clinton is the one making decisions for embassy security, then, in the Trumanian sense, the buck really should stop with her. Some might argue otherwise — that Obama should take the blame for the State Department’s failures. But not Truman.